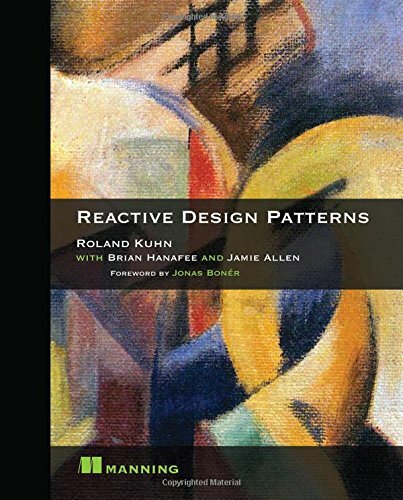 1617291803 – Reactive Design Patterns by Roland Kuhn Dr.
Reactive Design Patterns is a clearly written guide for building message-driven distributed systems that are resilient, responsive, and elastic. In this book you’ll find patterns for messaging, flow control, resource management, and concurrency, along with practical issues like test-friendly designs. All patterns include concrete examples using Scala and Akka. Foreword by Jonas Bonér. Modern web applications serve potentially vast numbers of users – and they need to keep working as servers fail and new ones come online, users overwhelm limited resources, and information is distributed globally. A Reactive application adjusts to partial failures and varying loads, remaining responsive in an ever-changing distributed environment. The secret is message-driven architecture – and design patterns to organize it. Reactive Design Patterns presents the principles, patterns, and best practices of Reactive application design. You’ll learn how to keep one slow component from bogging down others with the Circuit Breaker pattern, how to shepherd a many-staged transaction to completion with the Saga pattern, how to divide datasets by Sharding, and more. You’ll even see how to keep your source code readable and the system testable despite many potential interactions and points of failure.